Denise Fleischer resides in Illinois, but prefers to believe she can go anywhere in the universe. The majority of the time she can be found at home writing her next book or at the Journal & Topics Newspapers processing copy and writing articles. 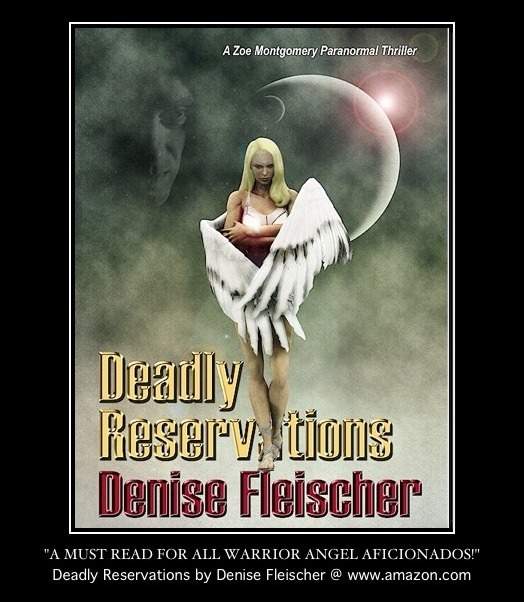 She is the author of “The Guardian,” “Altar of Freedom” and “Deadly Reservations,” a paranormal thriller. Her work in progress is “The Sharp Edge of Truth,” a sequel to “Deadly,” with a time travel format. Denise’s interest in time travel and the paranormal began with “The Time Tunnel” and Dark Shadows television shows. When Denise isn’t writing the next Zoe Montgomery adventure, she’s reading women’s fiction and mysteries for review, watching TLC and HGTV, working on Unforgettable, gottawritenetwork.wordpress.com, Breakers and Snug Harbor SL sim blogs and chilling in Second Life.